Located in Neston Health and Beauty Clinic, Parkgate Road. Providing Physiotherapy services to Neston, Little Neston, Parkgate, Ness and surrounding areas. 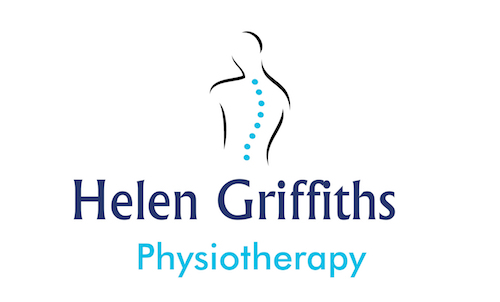 Helen Griffiths is an experienced Physiotherapist. After gaining a 1st Class Honours Physiotherapy degree she quickly embarked on her Physiotherapy career working within the NHS. Alongside this in 2010 she opened her own Physiotherapy and Sports Injury Clinic in Gloucestershire which is still going strongly. After having children Helen moved back to the Neston area. Helen is a member of the Health Professional Council (HPC) The Charted Society of Physiotherapy (CSP) and the Acupuncture Association of Charted Physiotherapists (AACP) and offers high quality, patient focused care. Helen provides a high standard of treatment, rehabilitation and preventative advice for a wide range of conditions. Physiotherapy is a type of therapy that can help ill, injured or disabled people recover movement and function to their full potential. The prime purpose of Sports Massage Therapy is to help alleviate the stress and tension which builds up in the body’s soft tissues during physical activity. Be the first to keep up to date with the latest news and special offers from Rockets Physiotherapy Clinic here. Helen is fab, such a lovely, caring lady, easy to talk to and knows what she is talking about! I went to see her a year ago, I was in agony with my legs, which turned out I had shin splints, she help me out with setting up a programme to let them heal with minimal impact on them, I managed to not lose any of my fitness with the help of Helen. Highly recommended in my books. Twice this lady has saved my legs, twice I thought I was unable to run the Half Marathons due to injury but after a consultation and good thorough physio session my legs recovered in time, I have recommended Rockets Physiotherapy Clinic's services and no doubt I will be using them again! I have had Sports Massage, Physiotherapy and Acupuncture from Rockets. It is by far the best and cheapest Physio Clinic around, I know I've tried them! The reason I love Rockets Physiotherapy Clinic so much is because Helen offers honest, professional advice whilst considering what suits me personally. She is a one off in the sense that she gives you all of the guidance you need to recover as quickly as possible. As a runner she has treated a fair few of my injuries now and has given me some fantastic exercises in order to prevent further injury. The ultrasound worked a treat on my calf muscle! I'd also highly recommend Helen's Sports Massage, it wasn't relaxing but it really sorted my aching shoulder out! Highly recommended. Don't suffer with those aches and pains any longer. Let us help you!